a vintage holiday barn sale….how can you resist? I wonder, is there a Christmas or holiday ditty about a-barning-we-will-go??? Now you know my love for a special pickers barn on Little Conestoga Road, right? Well Kristin and Phil are having an extra FUN and FABULOUS sale this weekend! They have raided Santa’s vintage workshop and in addition to all the normal fun stuff, there is vintage holiday everything. They are open ALL weekend this weekend November 23rd, 24th, 25th! Happy Thanksgiving everyone!!! Just a little note to those of you who will be staying close to home this weekend….. the barn will be open this FRI SAT AND SUN from 10-4. We are going to be kicking off the holiday season with our annual vintage holiday barn sale. The barn is bursting at the seams with all our great items along with a whole lot of vintage holiday mixed in! 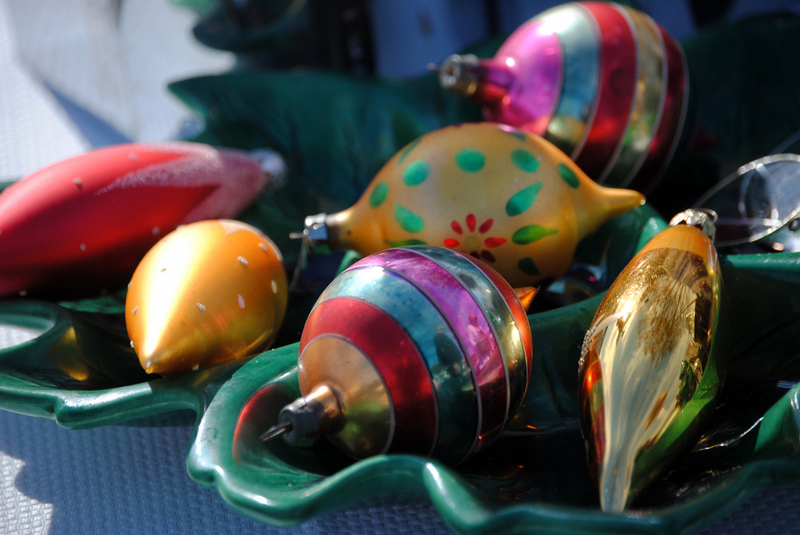 Our vintage holiday items include trees, ornaments, and other vintage holiday items. In addition we also have great new furniture, household items, toys, collectibles, Hess Trucks, Depression Glass, along with tons of other goodies!! Everything is priced to sell………..so come stop by, say HI, and find a treasure or two!! Hope to see you then! Now I happened to see a small fraction of the cool ornaments and holiday stuff a couple of weeks ago. This is my favorite barn. These people are all about the deal and I never walk away feeling I paid too much for anything. Bring a small flash light with you. 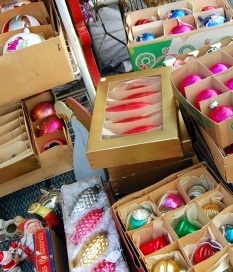 NOTE THAT THE PHOTOS ARE PHOTOS I TOOK IN THE PAST OF VINTAGE CHRISTMAS ORNAMENTS AT VINTAGE MARKETS.